This is a guest post by Prashanth H N, Director of Product Management at Knowlarity Communications, the pioneer of Cloud Telephony products for SME in emerging markets. For more info click here. At a time when customers are spoilt for choice, companies of all sizes face a unique challenge—how to build a long-term relationship with customers while also making salespeople more productive. Keeping this in mind, Knowlarity has developed a connector between its flagship product, SuperReceptionist, and Zoho CRM. This out-of-box solution lets businesses intelligently handle inbound and outbound calls within Zoho CRM without complex configurations or writing a line of code. Salespeople will have all the customer information accessible in one place during the call, hence achieving more results in a day. Businesses can deliver better customer experience as the conversations will be more contextual and personalized. Provides full-fledged customer identification to facilitate personalized greetings and interactions so agents finish calls quicker with higher customer satisfaction. Capture every detail of the call while it is fresh. 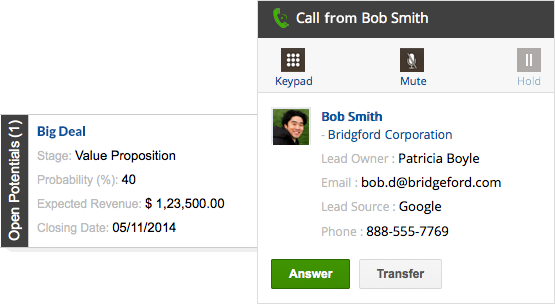 You can even create new leads when they call for the first time, reducing both wrap-up time and errors in data. Track and record all incoming and outgoing call with customers for easy monitoring. 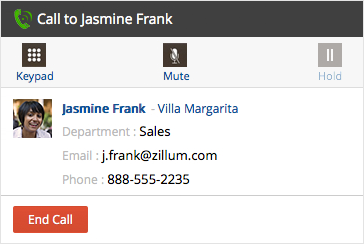 In addition, slice and dice call data with call analytics reports. 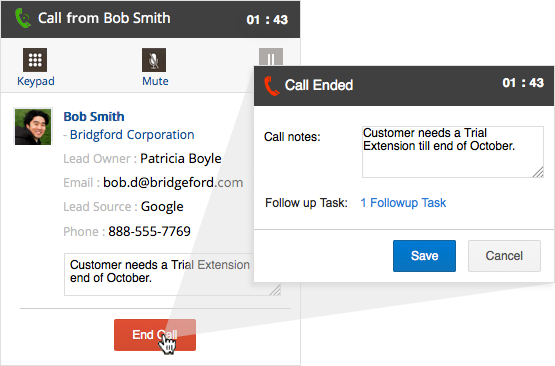 Initiate calls from Zoho CRM for follow-ups along with all information required for the conversation. All of these features are available in the Premium or above plan of SuperReceptionist, and all editions of Zoho CRM. Here is a quick start guide to set this integration up. Fine-tune your forms to boost your event attendance. 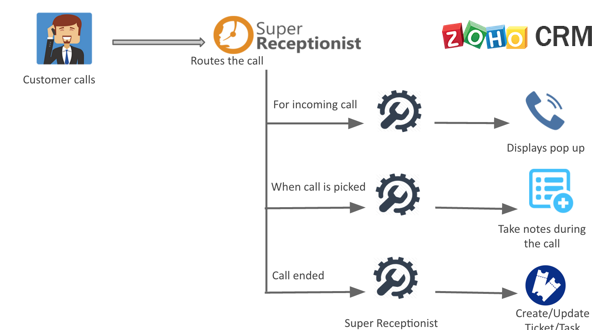 No Replies on Introducing Knowlarity’s SuperReceptionist for Zoho CRM – cloud call management for Indian companies. 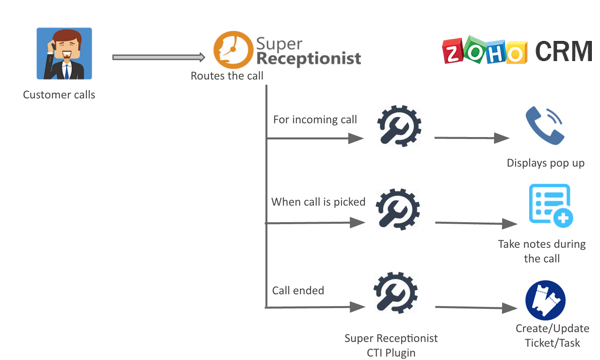 Commenting is Disabled on Introducing Knowlarity’s SuperReceptionist for Zoho CRM – cloud call management for Indian companies.